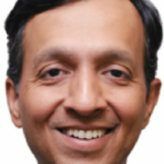 Pradip Krishen is a nature-lover and in his book Trees of Delhi: A Field Guide, he has made a list of more than 250 species of trees found in Delhi. This book is not only for botanists, because of its simple language can be understood by anyone who is fond of trees. 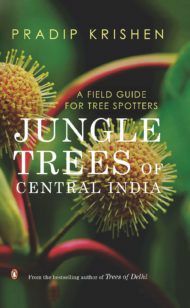 The book gives specific details about each tree like its leaves, flowers and fruits and also tells you the places in Delhi where you can find those trees. There are picture illustrations in the book too, which help you in identifying each tree. This book covers historical details about the different species of trees, how they have evolved and how the vegetation of the different areas of Delhi have changed over the years. On reading Trees of Delhi: A Field Guide you will possess knowledge about each tree you see. The illustrated edition of this book was published by Penguin India in 2006 and is available in paperback. Key Features: The book is a unique piece of work that revolves around trees, excluding botany study materials. It can be enjoyed by anyone because of its simplicity, whether you are a botany student or a nature enthusiast. 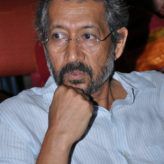 About the Author: Pradip Krishen is a noted documentary filmmaker, whose films won him numerous national and international awards. He is also a naturalist and an environmentalist. His book based on his research on the trees in Delhi, Trees of Delhi: A Field Guide became a bestseller in India. Pradip Krishen gave up film-making to photograph and write about trees for a general audience. He published Trees of Delhi (Penguin/DK) in 2006 which has sold nearly 20,000 copies. He also practices as an 'ecological gardener' and is rewilding the unique landscape of Rao Jodha Desert Rock Park next to Mehrangarh Fort in Jodhpur.